Websitedesign.org.in is a responsive web development company Noida. Our team of expert web developers provides mobile friendly website design Noida. We aim to design websites that are flexible in layout and adaptable to display for different screen sizes. As a trusted web development company which has served numerous corporates across the globe, our prime focusis on flexibility and adaptability of the website as per the user’s device and thus making it mobile friendly. Based out of Noida, we hand pick experienced web developers and experts who can discuss and suggest you unique concept of web design customized to suit the need of your company. 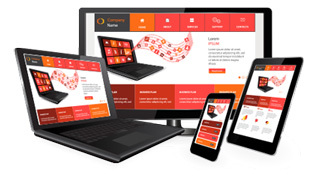 You can choose from free theme or free responsive templates that match your choice and business requirement. We offer comprehensive range of services including logo making, animated designs, and creative flash templates that make your website user friendly. Our professional web developers ensure quick turnaround time and efficient response time and make it conveniently accessible from desktop, mobile or tablet. Be it designing a landing page or a website, be it a blog site or an ecommerce website, you can count on our responsive designing expertise.